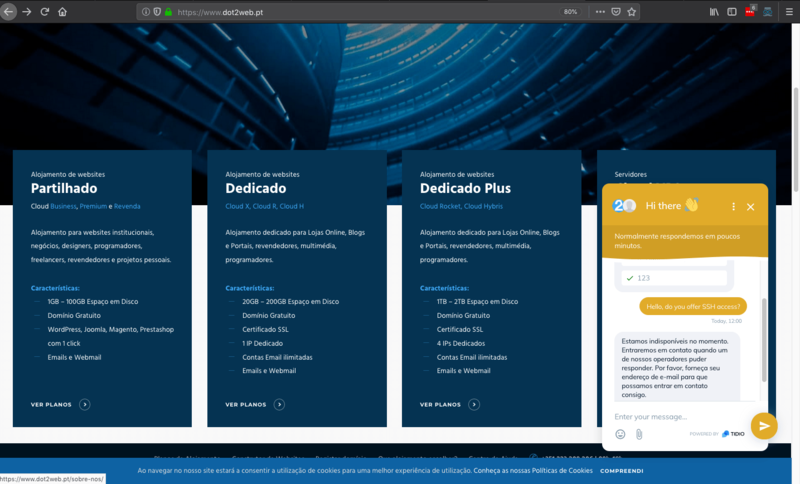 Dot2Web Review 2019: Is Dot2Web a Good Hosting? Dot2Web offers excellent shared hosting plans for beginners. Advanced webmasters can benefit from a good price on capacities for shared hosting plans, but a lack of SSD storage undercuts the overall value. 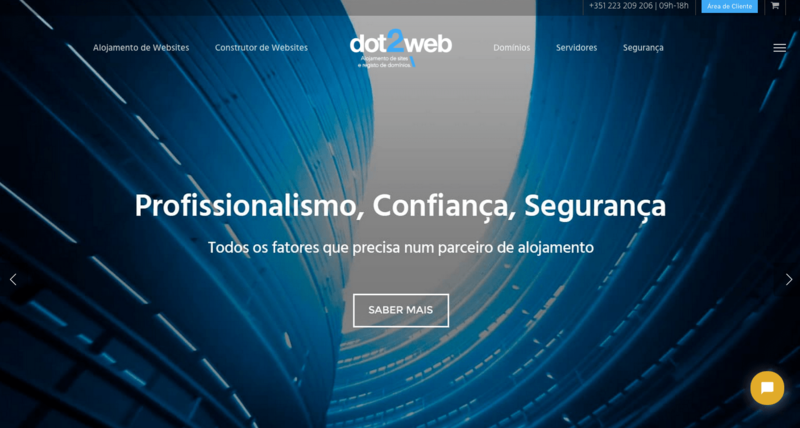 Dot2Web is a Portuguese web hosting company that was founded in 2003. It offers cloud-based shared, VPS, and dedicated hosting for SMEs out of data centers in Portugal and France. The company serves more than 1,600 active customers. Service is provided in Portuguese. Dot2Web offers cloud-based Linux and Windows shared hosting packages. All shared plans come with a 99% uptime guarantee, daily website backups, and 150+ one-click integrations including WordPress, Joomla, and Drupal. A free domain registration is also offered with Cloud Premium Linux plans. Unfortunately, there are several essential features that are limited to the premium shared hosting plans, so if you’re only hosting a personal website, you’ll find this host rather restrictive in its offerings. Beginning webmasters can take advantage of a website builder that comes with 190 different templates, social network integrations, and an online store. Dot2Web’s shared hosting plans come with a 30-day money back guarantee. The price of Dot2Web’s shared hosting plans based on the amount of capacity each plan offers is excellent relative to the competition, albeit with the aforementioned limitations for regular shared hosting compared to premium shared hosting. Beginning webmasters will find everything they need here at a good price. However, larger webmasters and e-commerce stores should note that the uptime guarantee of only 99% and lack of SSD storage for shared hosting raises questions about server performance. There are twelve managed VPS hosting plans for Linux and Windows available, grouped into three “Cloud” categories — X, R, and H. They all offer the same capacities — two to four vCPU cores, 2-16GB RAM, and 20-200GB SSD storage. The main difference between them is the control panel options offered. The value of the VPS plans is average. I would like to see more CPU cores offered, but the amount of RAM relative to storage is above-average. Medium-sized e-commerce merchants more comfortable having Portuguese language support will most likely find enough power here to justify the convenience, but larger ones will probably need to look elsewhere. Support options are average. As you can see from the screenshot below, I did not receive an immediate reply from live chat support. In addition, phone support is not 24/7. Email and ticket support are available, however. There is a knowledge base, but it only answers a few pre-sales questions and won’t help with any technical inquiries. Dot2Web offers shared hosting with a 99% uptime guarantee, excellent pricing relative to the competition, and Portugal-based servers. Beginning, small, and even a few mid-sized webmasters will find what they need here. However, a lack of SSD storage means larger merchants will probably have to look elsewhere. Wondering how Dot2Web stacks up against other Web Hosting companies? Enter any other Web Hosting company and we will give you a side-by-side comparison.